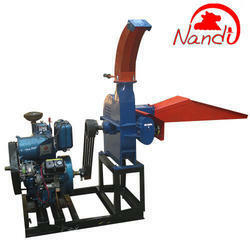 Model 9 Nandi Silage Chopper is a special Chopper to Cut Maize, Sorghum for Silage Purpose. It has Cob Crush process to make better silage. Forage Chopper has special mechanism to reduce the chop size to 8 mm. Smaller size Chopping allows to compact the silage, there is less air and more density. In this condition the quality of silage improves. Nandi Tractor Operated Forage Chopper is an ideal farm machine for farmers having medium scale cattle farm. This machine can cut both dry and green grass including Napier grass, sugar cane, sorghum, maize stalk, millet, oats, paddy. It is durable, long lasting and low maintenance machine. It cuts the fodder uniformly, which is ideal for the livestock. 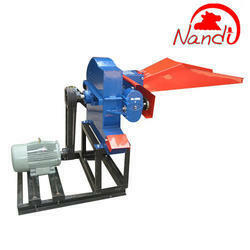 Model 12 Nandi Silage Chopper is a special Chopper to Cut Maize, Sorghum for Silage Purpose. It has Cob Crush process to make better silage. This machine has a big inlet mouth that allows large quantity of maize feeding without any problem Forage Chopper has special mechanism to reduce the chop size to 8 mm. Smaller size Chopping allows to compact the silage, there is less air and more density. In this condition the quality of silage improves. 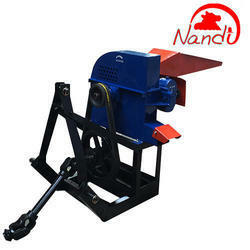 Nandi Forage Chopper Electric Motor Operated With Pulley, Base Frame,and Belts are part of standard Supply. This machine is low maintenance and high output. It is good for 50 - 150 Animal Dairy Farm. It cuts both dry and green grass. Average daily production of 6 - 8 tonne Green Fodder can be easily achieved using this machine. Nandi Forage Chopper with Diesel Engine is an ideal farm machine for farmers having medium scale cattle farm. This machine can cut both dry and green grass including Napier grass, sugar cane, sorghum, maize stalk, millet, oats, paddy. Looking for Forage Chopper ?